from Amazon @ $50.87 ea. 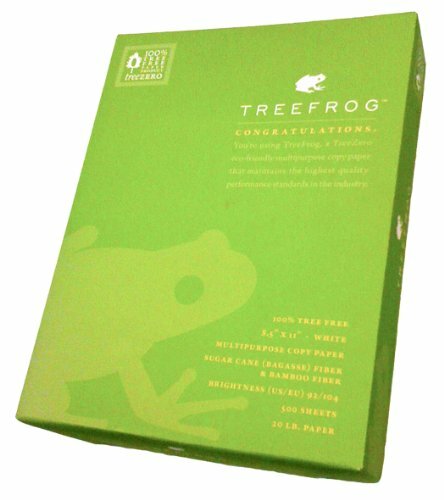 100% tree-free paper by TreeFrog - quite simply, the most eco-friendly paper product on earth. 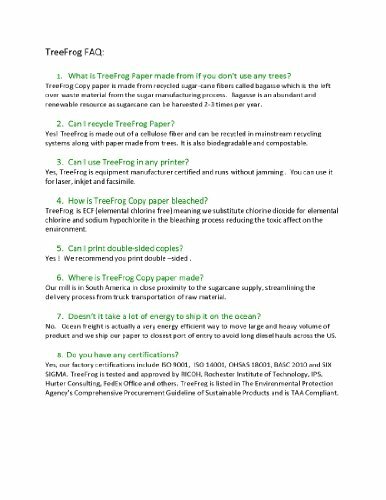 Manufactured from 100% bagasse, by-product of sugar cane, treeZero paper is quality tested premium copy paper. It provides jam-free performance, suitable for high-volume everyday use. Multi-purpose use perfect for laser, inkjet, color copier, facsimiles. 92 Bright. 20lb. 8.5 x 11. Sold in 5 reams of 500 sheets each. 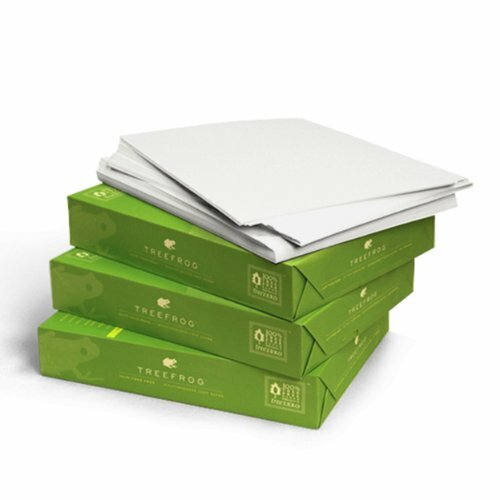 Discover how good spending less on treeZero paper feels over 100% recycled paper from trees. Trees belong in forests, not in paper!